Situated within walking distance of Glasgow city centre, Skypark sits in one of the UK’s most bustling cities. With a workforce of over one million, and the second highest number of higher education students outside London, Glasgow not only lives up to its rating as one of the top cities in the world to visit but is the perfect choice as a business location, with a catchment population of 2.3 million. The Exhibition rail station is located directly across from Skypark, with connections every ten minutes to Glasgow’s Central Station, which, like Queen Street station, is a five minute taxi ride away. Visit the Strathclyde Partnership for Transport website for more information. 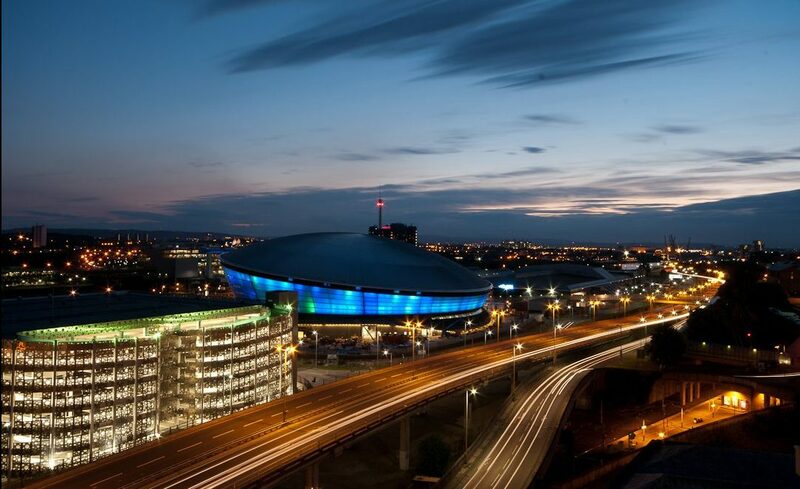 Skypark is accessible from the M8 motorway, the Clydeside Expressway and St. Vincent Street. 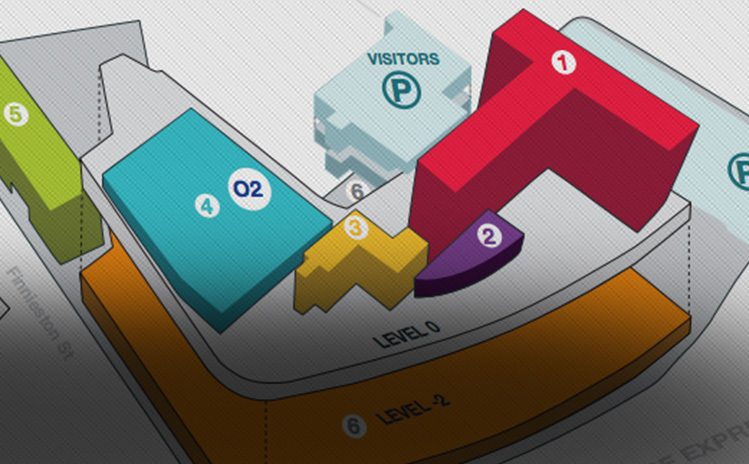 The downloadable map above will help you find our front door (Sat Nav Post Code is G3 8EP). There is free on site parking for visitors. Glasgow City Centre and the main train stations are fifteen minute’s walk from Skypark, following St. Vincent Street west. The New Media Quarter is ten minute’s walk. Local amenities include sandwich & coffee shops, bars, restaurants and boutiques. View our guide to the attractions in our immediate neighbourhood. Skypark encourages cycling to work and plentiful cycle racks are provided across the site. Riverside cycle paths lead to the City Centre, the Exhibition Centre, the West End, and the BBC/New Media Quarter. Bus number 2 runs from the City Centre and the West End, with departure points from St. Vincent Street close to the entrance to Skypark. Glasgow airport is approximately 20 minutes from Skypark by taxi. There is also a shuttle service running from the airport to the City Centre, taking approximately 25 minutes.Visit the travel connections page of the Glasgow Airport website.